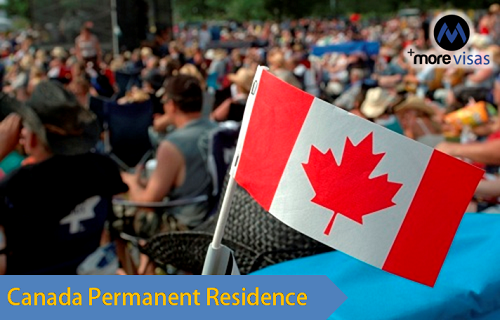 Each year many people seek to gain Canada permanent residence. More than 2,00,000 individuals becomes PR of Canada each year. Many individuals look to become permanent residents of Canada to get citizenship of that country. There are many immigration programs for Canada under which an individual could apply for gaining permanent residency of Canada. Permanent residency of Canada could be gained if the individual have got any for their family member residing in Canada, they can sponsor that individual to come and become permanent resident of that country. Individual can obtain Canadian PR if they got an employment offer from any of the employer in Canada. They can directly apply for those jobs that are in full demand in Canada, through this they can avail the Canadian Permanent Residence. Individual could get permanent residency through investment. Individual needs to apply for permanent residency of Canada, and their application gets approved they get their permanent residency visa for Canada. The individual could easily migrate to Canada and could also enjoy similar benefits as the citizen of Canada. The permanent residents can work, they get all the social benefits and they could also apply for Citizenship of Canada. After becoming permanent resident of Canada, an individual needs to reside two of each five year in Canada. To fulfill the requirement of permanent residency, an individual who has got the Canadian PR needs to spend two years by residing in Canada, they can also accompany their spouse overseas who is also a citizen of Canada and they can also work overseas for a Canadian firm. There are many categories and programs that are available through which an individual could apply for Canada permanent residency visa and they are Express Entry, Federal Skilled Trades Program, Federal Skilled Worker Program, Experience Class, Investor Immigration, Family Sponsorship and PNP programs.